Are you looking for a powerful exercise to help jump-start your team or organization’s continuous improvement efforts? Are you feeling stuck in a rut? Or are you just looking to mix up your retrospective format to keep things fresh? If so, tap into your creative side and let’s take a trip into the future. Imagine that we are 6 months in the future and you have a peek into how the team/program/department is performing. We have achieved our business goals, our staff is engaged, and customer satisfaction is at an all-time high. How did this happen? Given we don’t have a time machine, we will have to use our brains and imagination to figure out how we got to this ideal state. Think through the following questions and write down your answers. Then we will review them all together to create a shared understanding and vision for the future. What’s the common goals everyone was moving towards? What did we do start doing or do more of? What did we do stop or do less of? Write the three questions below on large sticky note posters or on a large whiteboard. Bring regular sized sticky notes and pens and lay them out for participants. Set the stage by explaining the exercise. Try to group into clear themes as they are being placed on the board. Do a readout of the cards, and quickly allow for clarification by submitters if needed. Dot vote on the themes and/or individual cards to identify the top items. Split the group into 3 teams. Send the teams to different parts of the room or different spaces work on identifying the following for each card/theme. Bring the groups back together to share what they came up with. Document the results and distribute to participants. Propose to the group that you come back together in 2-3 months or on a regular basis to work towards the outcomes you’ve created a plan for. Dot vote to Identify the top 3-5 items from each category. Then break the room into 3 groups to build agreements and identify practical steps towards achieving this ideal state. Then share back to the room what each group came up with. Work with participants to identify WHO, WHAT, WHEN, and HOW they will begin to act on them. What methods can we use to achieve this goal or stop doing something? Are there impediments to utilizing these methods? What practical next steps need to be taken? And who will do them? Depending on the number of participants in your futurespective, you may need more or less time than what is listed below. The timing below is for a group of 10-15. When working with a new agile team or when a role like the Product Owner or the Scrum Master changes, I’ve found that it is prudent to visualize the specific team responsibilities. If the majority of the team has a basic understanding of the role of Product Owner and Scrum Master this method could be especially useful. Much more so than the alternative of teaching the group about generic guidelines and hoping they figure it out. (However, as a facilitator you should coach the group on which responsibilities could be ideal for thier role-based “standard” agile practices.) Another factor for Scrum centric organizations is that the Scrum Guide doesn’t have details about managers, so this is a good opportunity to codify that for your team(s). I’ve used this method to help out dozens of teams, and it typically aids in sorting out if everyone is doing the right things, and allows for grey areas to be accounted for. Purpose: Bring clarity and alignment for the roles on an agile team. Have each individual in that role write in the various responsibilities, processes, and even meetings they feel they’re responsible for. You now have an inventory of likely most of the things that comprise the teams rhythm of operation. As a facilitator/coach, write down any gaps you are seeing. Now go through each column and make sure the group is aligned, or if certain things should be moved to a different person. Also, help ensure the gaps you may have written down are addressed. Document the results with a picture or transcribe to a document that can be posted on your team portal. It’s suggested to distribute the results to the entire team. There are many different ways to lead and coach within your organization. And often the type of approach you need to use can depend on your role in the organization, as well as if your role is catered towards delivery results vs the growth of individuals. Often times a consultant would need to operate more in the Partner / Modeller/ Hands-on Expert end of the spectrum. 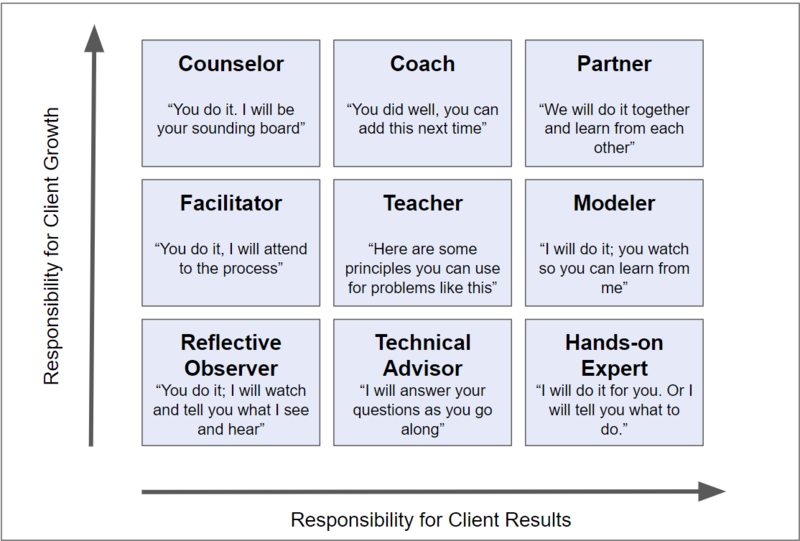 Whereas a traditional agile coach may live more in the Counsellor / Facilitator / Reflective observer end of the spectrum. This isn’t to say either should be limited to any specific end of the spectrum, however, if an agile coach were to primarily operate as a hands-on expert, they could create too much dependence on themselves and deprive others of being able to grow and improve. Where do you feel you fall on the coaching spectrum? If you are a part of an agile team, you probably are doing daily standups (daily scrum), right? As many things in life go, repetition can cause something to be less and less enjoyable, even to the point of dread. If the grind of the 3 questions (what did you do yesterday, today, and what are your blockers?) has got you down, here are some tips to optimize your daily standups. 2.) Standup – There is a temptation to walk into a room, put down and open up your laptop, and settle in with a warm beverage. This is a sure fire way to drag out your standups. By standing up people are slightly less cozy and more apt to get down to business and move on with their day. 3.) Do not turn standup into a status reporting session – In my opinion, the standup should be more focused on the plan forward than going over what took place in the past. There is often value to sharing what you’ve done if it helps share knowledge and communicate that you’ve completed something. I always try to go by the 80/20 rule for standups. Let me explain: Only 20% focused on the past and 80% of your update focused on the present and future. another way of saying it is to spend 80% of your time discussing your plan forward and any impediments in your way. the #1 problem I’ve observed with most standups is that they spend 80% of their time on question 1 which erodes the intent on the standup. 4.) Be inclusive of remote team members – This could be a completely separate blog post, but here a few of the most important suggestions I can make. First, use video if at all humanly possible. You lose so much in translation without seeing someone’s face. Next, consider having someone at the location where the team is mostly co-located be on point to making sure the remote folks are considered. I’ve worked on many distributed team, and it’s very challenging to keep them in mind unless you are intentional about it. This article from Leading Agile has more great tips. 5.) Utilize a parking lot – if you or your team has a challenge with going deep into solutions at standup, it’s probably time to start using a parking lot. Or as I’ve heard some people dub it, “The after party”. If a conversation has gone too far into the weeds someone should propose it get’s added to the parking lot. Quickly write it down on a sticky note, etc. Then after everyone has given their update have the folks who need to keep discussing the parking lot item stick around. I’ve worked with some coaches/scrum masters who are very legalistic about the parking lot. I say, use common sense. If the team wanders into the weeds once and a while it’s fine, don’t shut it down. But at the same time, you don’t want 7 team members that don’t need to be involved to have to sit through a conversation that could be had by 2-3 people. 6.) Streamline standup with other agile events if possible – Here is an example: You have a two-hour backlog grooming session from 1PM, then standup at 4PM. Do you really want the team to go back to their desk to try to work for an hour, then go to standup? I sure hope not, because context switching is costly and to be taken seriously! The team should think ahead to try to minimize this context switching when possible. 7.) End on time or early – For a team for 6-12 I highly suggest going NO longer than 15 minutes for standup. And as we know tasks often expand to the time allocated. This is why it is important to keep the conversation moving so you can finish early or on time, every time. 8.) Try mixing up the format once and a while – I was on a team once that did “third person Thursdays” where you had to give your entire update in the 3rd person. It still accomplished the goal of standup but it was a fun way to mix things up. Another thing you could try is have team members attempt to give an update for the person standing next to them based on what you think they did and are going to do. This method is slightly less productive but still fun. If your standup is in the morning, try surprising them with donuts or gourmet coffee once and a while. Another thing you could do is a brief quiz at the end of standup. “What did Suzie say she was blocked on?” The first person to answer get’s a $5 Starbucks gift card. I think you get my drift…mix it up! I’d love to hear your ideas and experiences on how to make standups rock, and keep them from sucking! “Start with Scrum.” Have you ever heard someone say this? I’ve heard this statement multiple times over the years when folks are talking about agile transformation, and it rubbed me the wrong way. The problem is, I couldn’t quite put my finger on why. In many ways, it makes sense right? Scrum can help someone wrap their mind around work decomposition, shorter feedback loops, retrospection, and being connected to the customer more through user personas. But why are so many teams struggling to find agility with scrum? I think I finally can explain why I think this approach isn’t the right thing to do if your end goal is agility. 1 – Scrum is a framework and agile is a mindset. Last year when I was presenting at the Global Scrum Gathering, we borrowed from Michael Sahota who said something to the tune of “If you adopt agile practices you could see a 20% benefit. If you adopt an agile mindset you could see 300% benefit!” So many people I meet that are interested in agile for their organization just want the benefits but without the mindset shifts needed to get there. I don’t fault them for that because when you look at the Agile Manifesto it reads out very well and sounds like positive things for most rational people. What is sorely missing is the “counting the cost”. If becoming agile as an organization was as simple as doing some training and doing the Scrum Events, there wouldn’t be agile coaches. Look…I love scrum. I really do! It’s something that opened up a doorway for me to be exposed to agile manifesto which has changed my life and career aspirations. 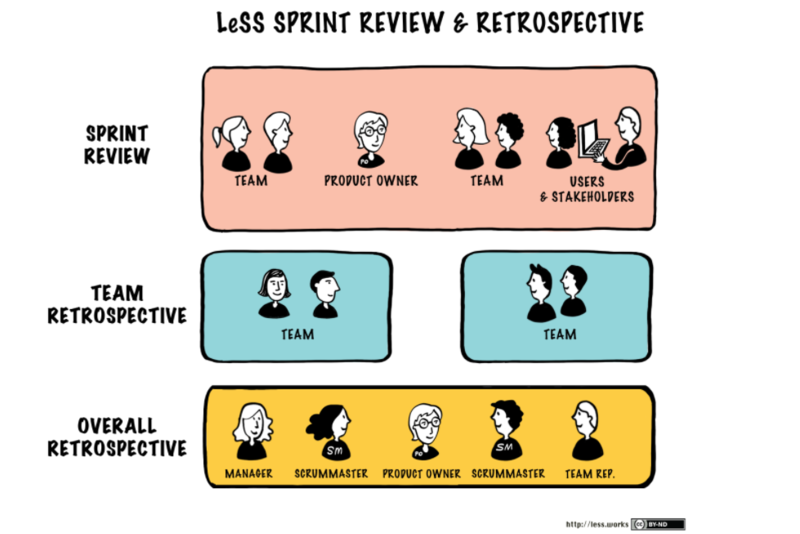 But, while I was working on a blog post entitled “The History of Agile” it dawned on me that Scrum was a response to waterfall. And it was a tremendous leap in the right direction away from fixed cost/scope/timeline type projects. Then came along the agile manifesto which was a response to scrum and the various flavors of agility frameworks sprouting up. But we need to look ahead and allow the agile mindset to lead us into the great unknown. Ron Jeffries, one of the great original thought leaders in agile even said “I may have invented points. If I did, I’m sorry now.” The point is, we need to inspect and adapt as technology changes, culture changes, and people change. 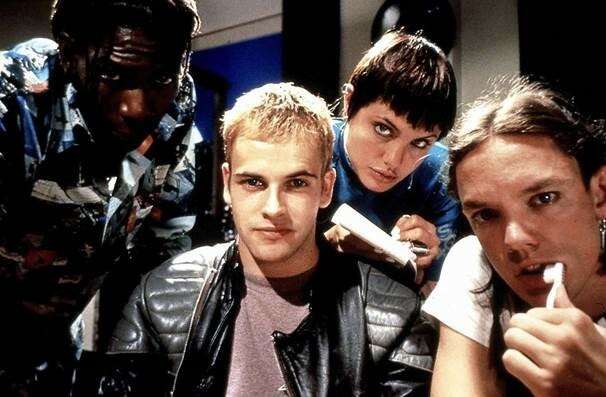 Here’s another awesome 90s picture just because I found so many great ones to use for this article. 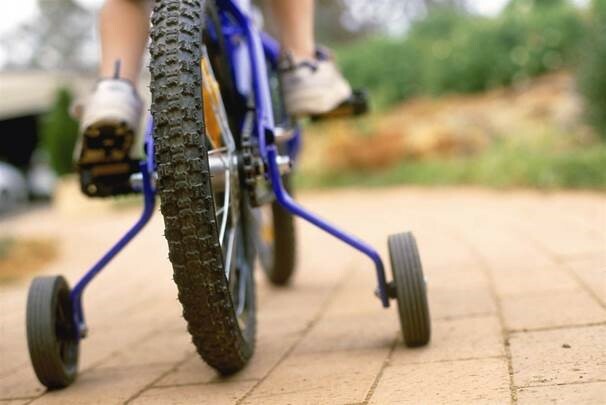 3 – Training wheels can create improper habits. I was listening to a presentation by Joshua Kerievsky last week and he told a story about teaching his daughter how to ride a bike. He said that many people talk to him about how Scrum is like training wheels for their organization to adopt agile. He pointed out though that training wheels don’t actually teach you balance, they just teach you how to steer and peddle. He took his daughter to the park one day and had her learn how to ride a bike by keeping her feet of the peddles and just pushing herself and lifting her feet to learn the balance. She quickly got comfortable with keeping balanced which is typically the hardest part of learning how to ride a bike. And in no time she was ripping around on the bike! What’s the lesson here? You don’t always need training wheels to begin your journey towards agility. In conclusion, starting with Scrum may not be the right strategy for your team(s). My personal guidance as an agile coach is to only start with Scrum if you envision something close to Scrum being your destination. And even in that is your situation, always start with trying to adopt an agile mindset before trying to implement a framework. By doing this, you are allowing your organization to tap into their creative potential, untethered to just one framework. Backlog grooming is an activity many agile teams perform each sprint. This is the process of adding detail, estimates, and order of priority to items in the Backlog. This is an ongoing process in which the Product Owner and the Team collaborate on the details of Product Backlog items. During Product Backlog refinement, items are reviewed and revised. 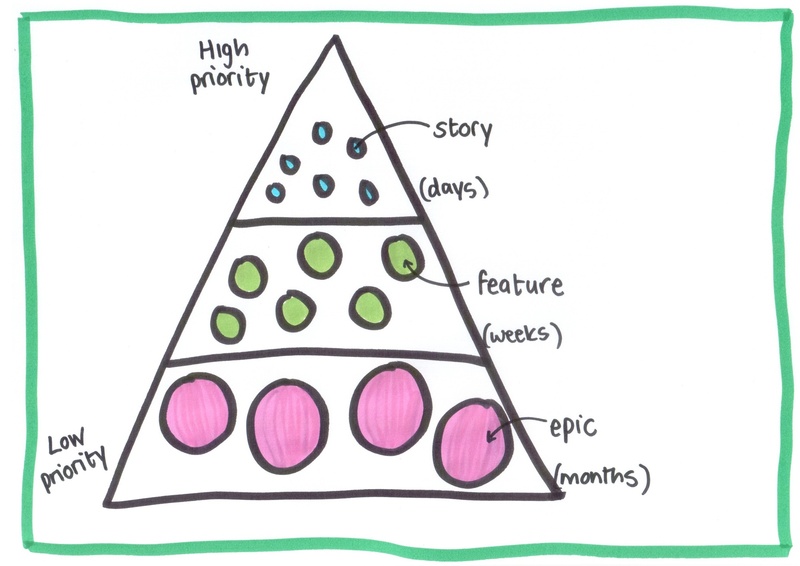 The Product owner is responsible for having stories ready for grooming, and the Scrum Master is responsible for making sure the stories are groomed before sprint planning (via backlog grooming). The Product Owner’s role in backlog grooming should start before the actual meeting. The PO will need to make sure that the stories are already prioritized. This is vital to making sure the team’s time is used to groom the most important items first. The PO should also add acceptance criteria or user acceptance test cases to stories as appropriate, depending on how soon each story will be pulled into a sprint. Backlog grooming should not be done without the PO. For this project The Scrum Master will schedule the meeting and take care of any other logistics. The Scrum Master should also be in contact with the PO before the grooming session to make sure the stories are ready to be groomed. Backlog grooming can be done without the SM. Having the team involved with grooming is imperative. While the PO has a great deal of the content identified up front, the team can help round out the technical aspects, dependencies, and other considerations. With the team’s help, the acceptance criteria can be modified and expounded upon. If the team has the ability to even briefly review the top upcoming items, its ideal. What’s the potential impact of not having backlog grooming? Your stories will not be prepared for sprint planning. The connection of work items to big-picture vision will grow stale. A dev may be looking or hearing about a story for the first time as they are having it assigned during sprint planning. This typically can increase ramp up time. Grooming: Same audience as above and including all Dev members and the QA teams. Ensure the stories contain the minimum needed information to the team to be able to discuss and estimate. Pre-Requisite: Product Owner has reviewed stories for Pre-Grooming and they are ready for review. Timebox: Try to have 30-60 min planned each sprint for pre-grooming . Pre-Requisite: Product owner has reviewed stories for Grooming and they are ready for review. Timebox: Try to have 1-2 hours planned each sprint for grooming. For teams that are new to this you may want to plan for 2 hours and finish early if you get through everything. If you made it this far, you’ve consumed a lot of information. Feel free to comment with questions or some suggestions you might have. The timeline above contains some key moments in the history of agile, and some other interesting events taking place at that same time for reference. 1970 – Waterfall Model was created (by Winston W Royce.) Interestingly enough some of the risks he called out have been realized and are much of the reason we saw agile come into existence. “I believe in this concept, but the implementation described is risky”. 1970 – Also, Gas is 36 cents per gallon. Wut?! 1990 – Jeff Sutherland and Ken Schwaber conceived the Scrum process in the early 90’s. 1991 – Also, the release of Nirvana’s Nevermind signified the start of the Grunge era that would dominate the music scene up to the mid-90’s. 1995 – Scrum is codified in 1995 in order to present it at a conference in Austin, Texas (US) and published the paper “SCRUM Software Development Process”. Scrum was first tried and refined at Individual, Inc., Fidelity Investments, and IDX (now GE Medical). These weren’t simply startups with greenfield development efforts. 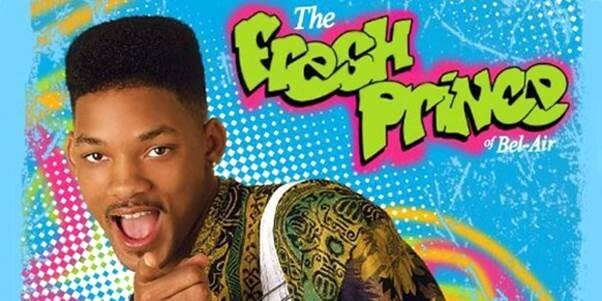 1995 – Also, OJ Simpson was found NOT GUILTY! 2001 – In February 2001, Jeff and Ken were amongst 17 software development leaders creating the Manifesto for Agile Software Development. – Their goal was to take all the good things they’ve learned and create a “charter” for others to use. By this time there had been many variations of agility that evolved. The manifesto was taking the best of the best and boiling it down to principles rather than a framework or methodology. Key Takeaway: Agile is not a flash in the pan, and is something that has been evolving for 20+ years. I believe we are even starting to see Agile become more of the “norm” in Software development. 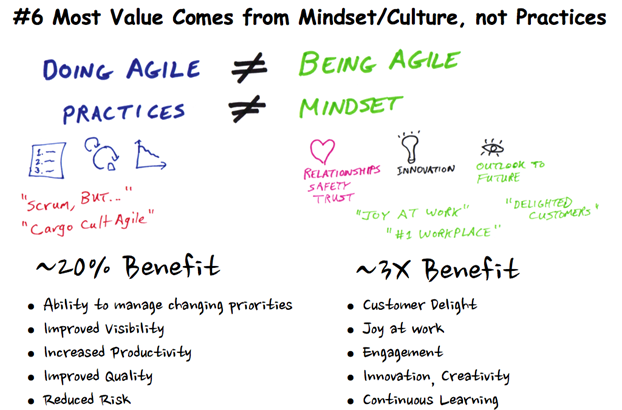 Agile as a mindset opens up the door for so much more than just SW Development. What do you think will be the key points in time for agile 20 years from now?